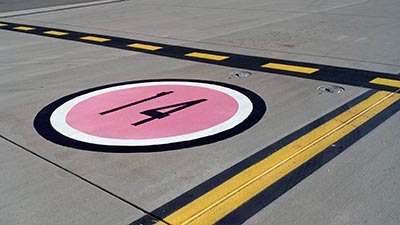 Color-Safe™ Color Pavement Marking for concrete or asphalt surfaces. 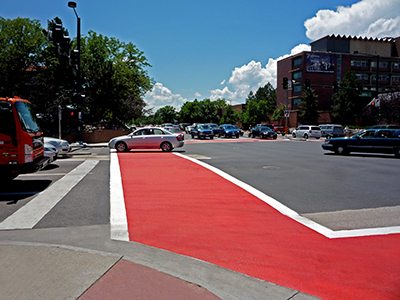 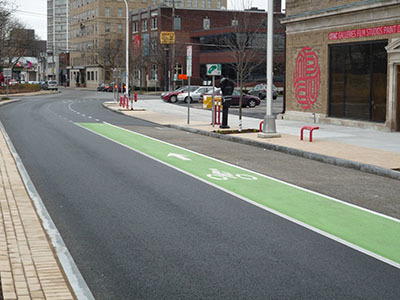 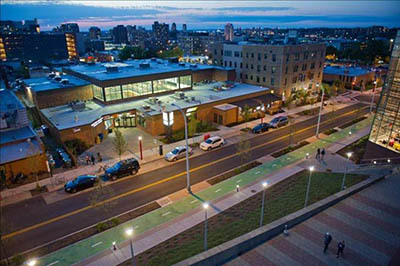 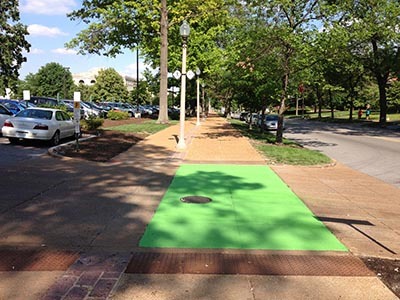 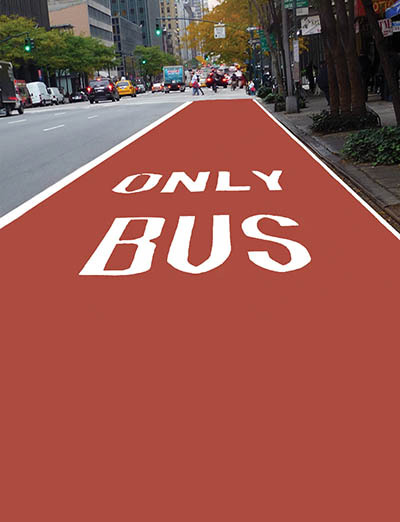 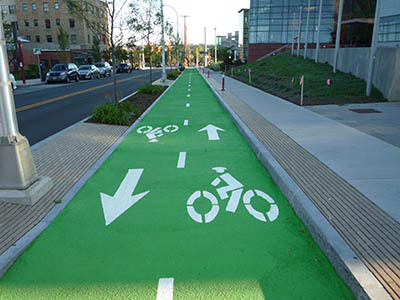 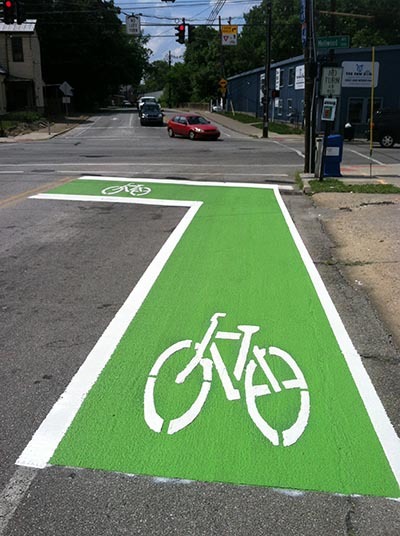 Color-Safe™ is your design solution for long lasting bike paths, bus lanes, crosswalks, pedestrian areas and driveways. 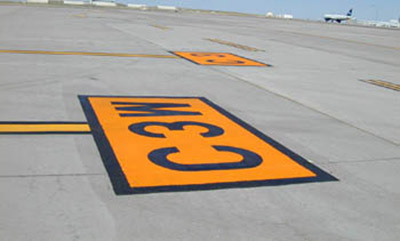 Paint and epoxies do not have the bright color or durability needed. 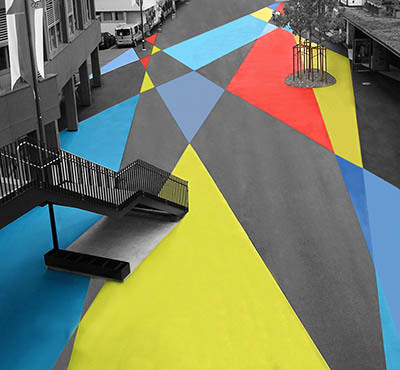 Color-Safe™ is available in a variety of high-definition standard and custom colors. 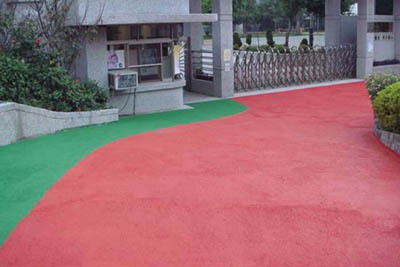 Capable of full cure in a wide range of temperatures, Color-Safe is a cost effective and durable solution to color surfacing.